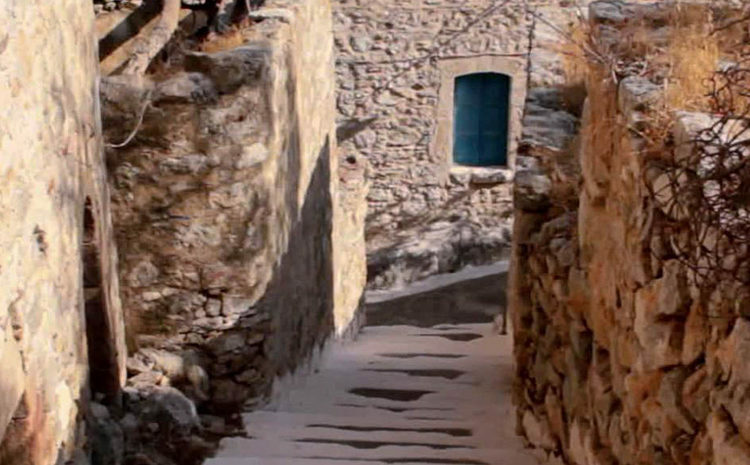 On the north side of the island, we find the Megalo Chorio, which lies on the steep slopes of the hill of St. Stefanos, a few kilometers away from the village of Livadia. On the crest of the hill is an ancient castle that was built by the Knights of St. John. 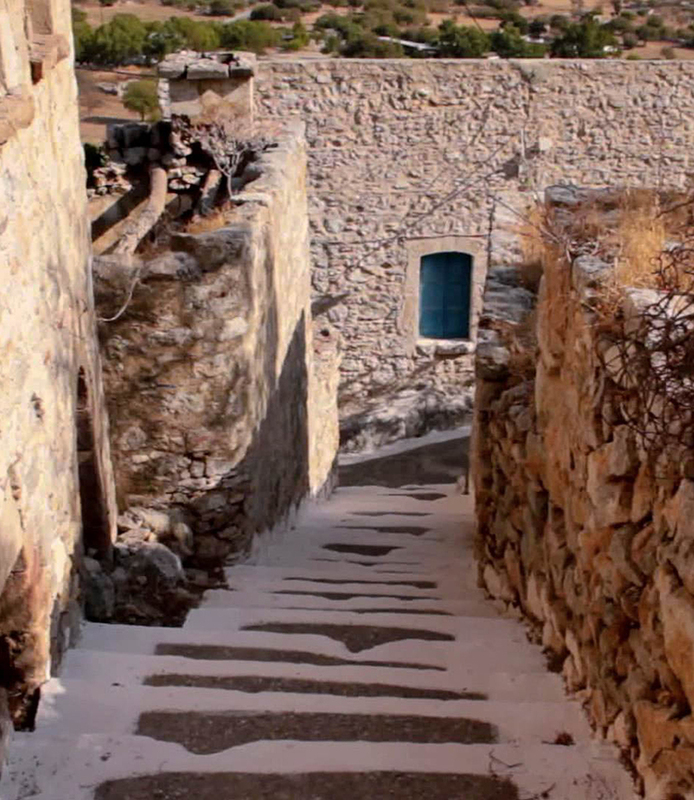 Until the early 18th century, the entire population of Tilos lived within the walls of the castle of the Megalo Chorio, where stood a famous temple dedicated to the Pythian Apollo and Athena. From 1827, they began to use the ancient ruins to constitute the buildings we see today, including the Town Hall, school, the library, the museum of dwarf elephants, the office, and the local grocery store. 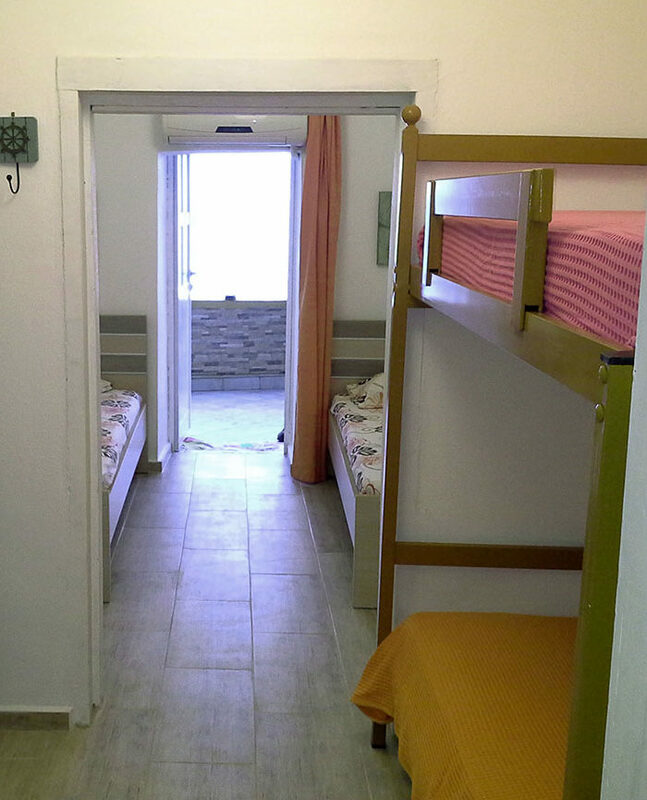 In the center of the Megalo Chorio, the visitor can find supermarkets, restaurants, a cafe and, a bar. The central square is beaming with fascinating flavors and colors, as well as the views of the valley and the beach Eristos to the south.